And today happened again. Because I thought that we didn't have a systematic bike lane grid, and we are not cool enough to see the lanes in Google Maps (like Copenhagen), it's crazy to ride in Barcelona. But then... 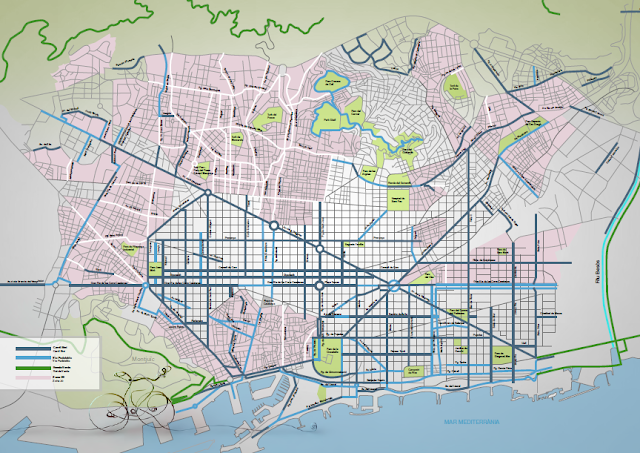 I was just looking for a map or something and, surprise, I found one and I realized that Barcelona has LOTS of bike lanes! And I did not know this! Cities change fast! In only 2 years! It's not that Barcelona is the best city in terms of bike lanes' quality and cyclists' safety but I do hope you enjoy them anyway. I definitely will!